The controversial plan was approved by officials in December of 2017, and it includes new graduation options that are important for educators, administrators, and students to understand. For starters, current high school students graduating in 2019–22 are expected to still complete ISTEP 10/End of Course Assessments (ECAs) as their graduation qualifying examination. With that said, schools are highly encouraged to allow students to opt in to a revised Graduation Pathway beginning 2019–20. Under the revised plan, students need to meet diploma requirements and also, in most cases, satisfy additional criteria, learning and demonstrating employability skills and demonstrating postsecondary-ready competencies. Is your district or school equipped with the tools to offer students these different options? We’re breaking down these three requirements below, but additional details can also be found in this Graduation Pathways Frequently Asked Questions document. Earning a high school diploma requires meeting the statutorily defined diploma credit requirements. Whether your student chooses the general diploma, Core 40 diploma, academic honors diploma, or technical honors diploma, the details on each can be found here. To meet this new metric, students must complete one of three possible options. Students can choose to complete a project-based learning experience, such as a research project or an AP Capstone™ assessment. Alternatively, they have the choice to engage in a service-based learning experience, such as a volunteer or civic engagement approved by the SBOE. Finally, they could select a work-based learning experience, which could involve internship or employment, as just two examples. When it comes to meeting postsecondary-ready competencies, many different options are available. Students who earn an honors diploma meet this requirement, as do those who earn a C average or higher in three AP® or IB® courses, as well as those who earn college-ready benchmark scores on either the SAT® or ACT® exam. Earning at least a minimum AFQT score for U.S. military placement on the ASVAB is also a possibility. Additionally, earning a C average or higher on at least six high school credits in a career sequence (known as a Career-Technical Education Concentrator) is a newly listed option. Finally, industry-recognized credentials or certifications, industry-recognized apprenticeships, and locally created career pathways approved by the SBOE are all now listed under this third and final metric. All of these options certainly give students greater choice in how to align interests with goals, but they also can present challenges for schools and districts as educators strive to provide options that meet each student’s unique pathway and postsecondary aspirations. If you’re looking for a digital partner to help offer high-quality digital curricula or even entirely virtual learning opportunities with state-certified teachers, consider a partnership with Edmentum. 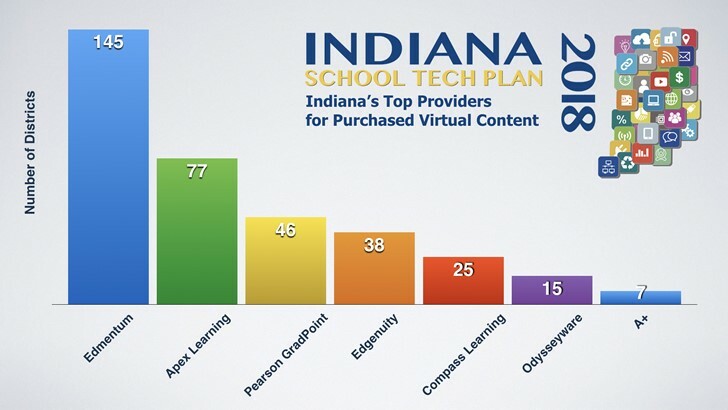 This past May, the Indiana Department of Education (IDOE) posted its updated 2018 School Tech Plan, which included an audit of top providers in the state. In both categories, we’re proud to share that Edmentum was on top! The newly expanded Indiana graduation pathways add a lot of new options for students. Allow Edmentum to provide hundreds of quality courses to choose from including CTE options, Advanced Placement preparation, and even exam prep for ASVAB, ACT, and SAT. Interested in forming a partnership? 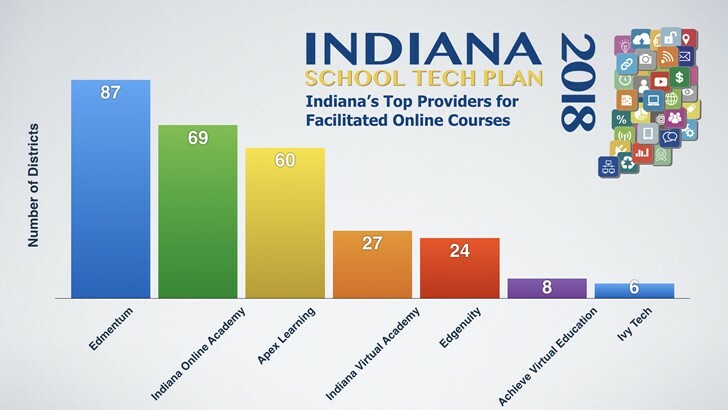 Learn more about our digital curriculum and virtual learning options—including all of the available courses we offer in the state of Indiana!